Mr. Coffee Mr. Signature Latte Mugs Just $25.34! Down From $51! You are here: Home / Great Deals / Mr. Coffee Mr. Signature Latte Mugs Just $25.34! Down From $51! Right now you can get these Mr. Coffee Mr. Signature Latte Mugs for just $25.34 (Reg. $51) at Walmart! Wake up to an extra large latte with the Mr. Coffee Mr. Signature 23.6-oz Latte Mugs Set. They come in assorted bright, bold colors that are sure to brighten your morning. These coffee mugs are also bigger than the average cup. You will enjoy waking up to this set of six mugs and you are sure to get the amount of coffee you need to start your day. 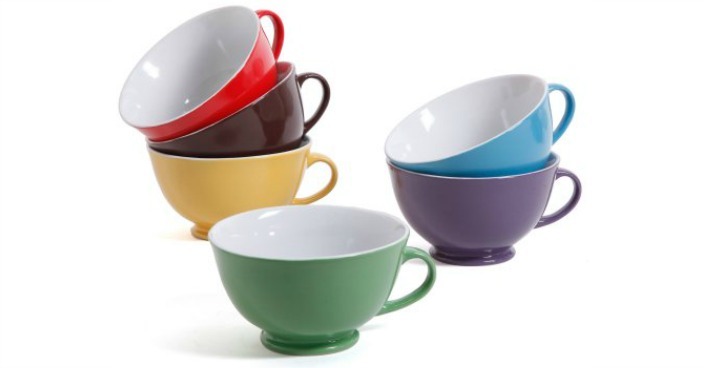 These mugs are easy to care for, as you simply pop them into your dishwasher.